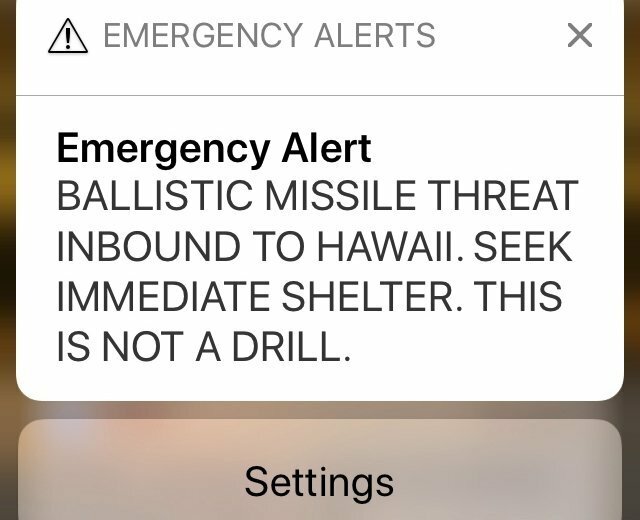 HONOLULU (AP) — The U.S. Department of Homeland Security’s inspector general has recommended changes to the nation’s emergency alert system after Hawaii officials in January mistakenly warned the public about an incoming ballistic missile. Homeland Security’s inspector general prepared the report after U.S. Sen. Mazie Hirono of Hawaii asked it to examine the Federal Emergency Management Agency’s role in the false missile alert. Multiple investigations blamed Hawaii’s false missile alert on human error and inadequate management safeguards. Both of these factors fall outside FEMA’s purview. Lack of training wasn’t found to be a concern in Hawaii, the inspector general’s report said. As a result, the inspector general’s recommendations don’t address the causes behind Hawaii’s false alert. But they do address alert problems identified in other states. For example, the state of Georgia once intended to send an alert about a winter storm warning but instead sent a confusingly worded message that referenced a civil emergency. Its software didn’t allow the state to cancel the message. In June 2017, Florida authorities attempted to send a child abduction Amber Alert to 54 counties but didn’t know their software only allowed dissemination to a maximum of 31 locations at a time. As a result, 23 counties didn’t receive the alert. “I will closely monitor FEMA’s progress in implementing the Inspector General’s recommendations to ensure such an incident never happens again in Hawaii, or in any other state that utilizes an emergency alert system,” the Democratic senator said.